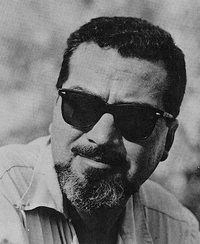 Alfred Bester was an American science fiction author, TV and radio scriptwriter, magazine editor and scripter for comic strips and comic books. Though successful in all these fields, he is best remembered for his science fiction, including The Demolished Man, winner of the inaugural Hugo Award in 1953, a story about murder in a future society where the police are telepathic, and The Stars My Destination, a 1956 SF classic about a man bent on revenge in a world where people can teleport, that inspired numerous authors in the genre and is considered an early precursor to the cyberpunk movement in the 1980s. July Science Fiction -- The following poll decides which two books will go to the final round of polls for July 2018's Science Fiction BOTM.